1 Bedroom Flat For Sale in Bournemouth for Offers in the region of £175,000. This modern town centre apartment, ideal for a buy to let investor or first time buyer. The block is set within attractive and well maintained gardens which are mainly laid to lawn. 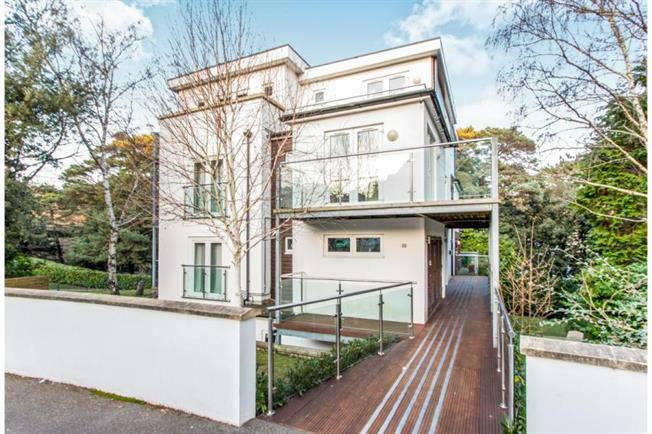 This stunning ground floor apartment is situated within close proximity of Bournemouth's sought after West Cliff, its award winning beaches and array of cosmopolitan shops & restaurants. The Bournemouth Wessex Way is very close and gives direct access to the M27 motorway with London just 1 hour 30 minutes commute. There are also main line train routes from either Poole or Bournemouth railway stations which connect the Weymouth to London Waterloo South West train service. Accessing from street level can be gained via a covered wooden walk way with steel and glass balustrade leads to a secure communal front door and entrance lobby. A modern open plan living space with two Upvc glazed doors which open out onto a covered wooden walk way. The living area flows into the kitchen which is fitted with white high gloss modern units comprising of base and wall mounted drawers and cupboards having complimentary work surfaces with acrylic splash backs, stainless steel electric oven with four ring electric hob and extractor above, integrated fridge freezer, integrated washing machine. wall mounted cupboard housing central heating boiler, one and a half bowl stainless steel sink unit with mixer tap, small Upvc double glazed window, vinyl floor. Fitted with a modern white suite comprising WC, pedestal wash hand basin, ladder style heated towel rail, tiled floor, extractor.